Sarajevo – The Regional Cooperation Council (RCC) began operationalisation of the Regional Investment Reform Agenda (RIRA), with a series of consultations with Western Balkans Six (WB6) economies, on the development of their individual-economy Investment Policy Reform Action Plans (IRAPs), the last of which was held in Sarajevo today. The RIRA and IRAPs are a part of the Multi-Annual Action Plan on Regional Economic Area (MAP REA), on which the region's Prime Ministers agreed last year at Western Balkans Summit in Trieste. These consultations were held with the support of the IFC /World Bank Group and the European Commission (EC). The RIRA has been formulated on the basis of identification of the existing regional investment barriers and strategic governmental consideration. These steps are followed by reform implementation, benchmarking the progress made, and the national consultations held are the part of this process ensuring effective RIRA implementation kick-off. 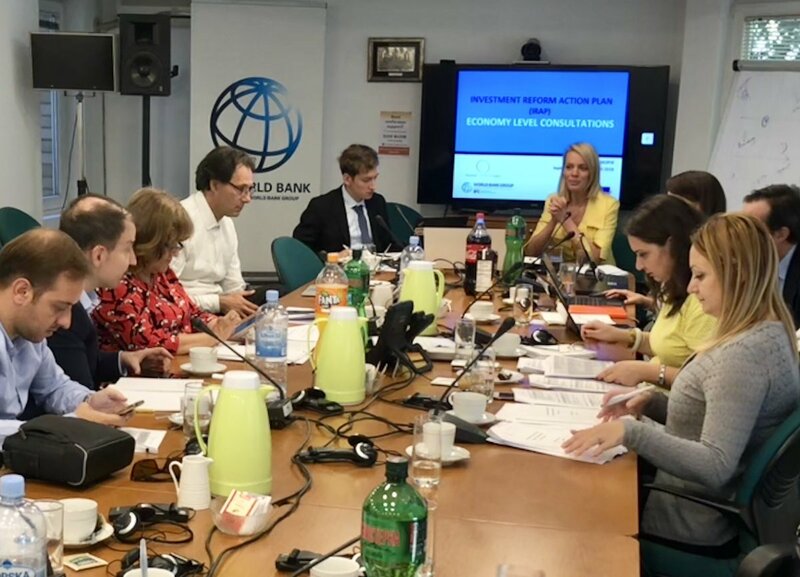 The consultations on IRAPs discussed the structure of the plan(s), formats and priorities for the reforms per each economy, so as to ensure that respective priorities are properly addressed within the investment agenda implementation plan. The draft action plan(s) for each economy are to be produced until the second round of consultations, which will be subject to internal national reviews and approval before its implementation. Final adoption of the draft IRAPs is planned until the end of this year. The consultations that gathered representatives of relevant institutions of the government, academia and business community were held in: Skopje on 25-26 September 2018; Pristina, 27-28 September 2018; Tirana, 2-3 October 2018; Belgrade, 3-4 October 2018; Podgorica, 4-5 October 2018, and Sarajevo, 11 October 2018. Regional Investment Reform Agenda (RIRA) was adopted at the Ministerial meeting of the South East Europe Investment Committee (SEEIC) on 11 May 2018 in Tivat, subsequently confirmed by the region’s economy ministers during the meeting in Vienna on 4 July and also by the region’s Prime Ministers at the Western Balkans Six (WB6) Summit in July in London.